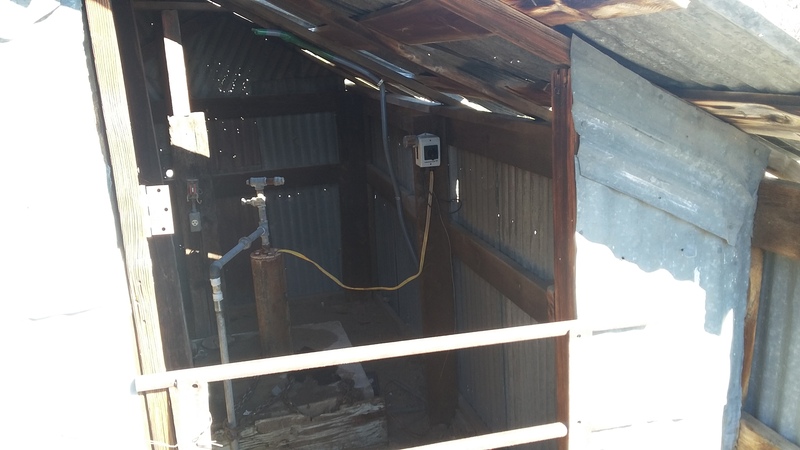 Solar was placed on this old structure containing the well. Solar watering stations require little maintenance and less expense. January 5, 2016—While spending time in the Southwest riding horses in the back country, we came across many cattle along the trails on BLM land. One has to wonder what these cattle eat and drink, but on further investigation there were small patches here and there of native grasses and shrubs –and the cattle were healthy! 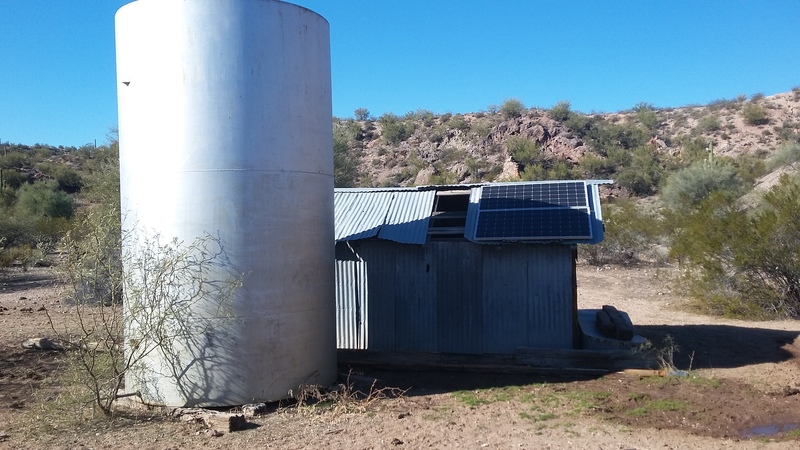 Solar provides water for cattle in this remote area. Where do the cattle get water in the high desert? 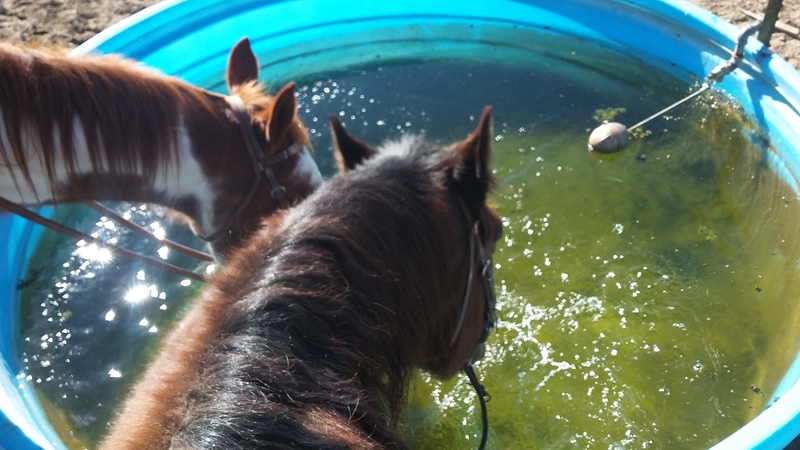 Riding further along the trail, we came upon a solar water station where we watered our horses before continuing our ride. The solar station is in a very remote area, with only a dry riverbed some distance away. Pumping up water for livestock using solar or wind from wells is a necessity in areas where electricity is not an option. And that creates the question, solar pump systems or windmills? Solar wells are ideal for this part of the country as the sun shines nearly 300 days of the year. 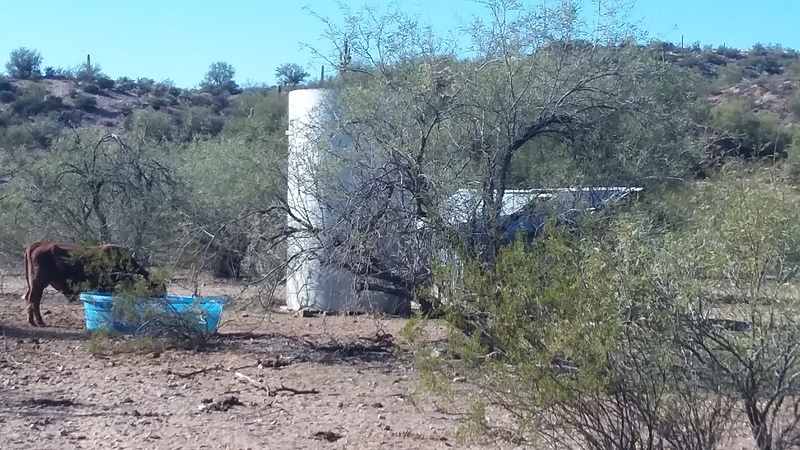 Are solar water stations replacing the windmill in the Southwest United States? Around 1870, the development of the steel blade made windmills more efficient, as the blades were lighter than the traditional wooden blades and steel was cheap. Windmills worked so well in some places that a slowdown gear had to be added to keep the blades at the required speed. We didn’t have a windmill on our farm where I grew up, but they were scattered over the countryside of the Midwest, and I can still hear the sound of the blades turning gently, creaking slightly while pumping up water for the cattle. 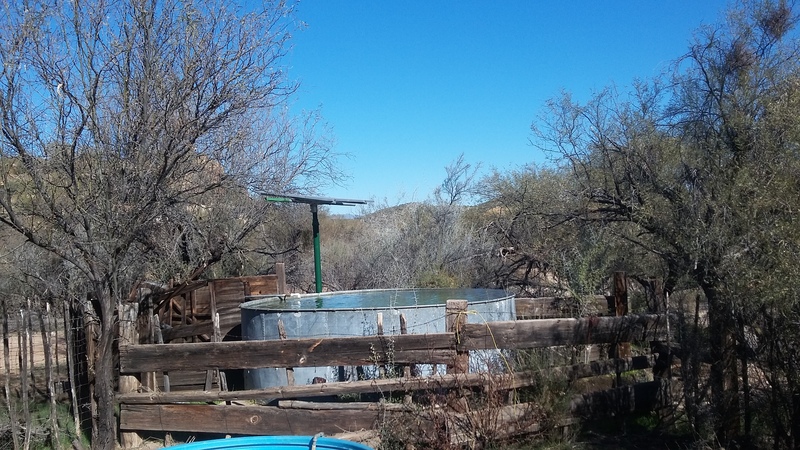 According to the article, “Solar Wells Displacing Windmills On Ranches In The West” by Matt Joyce, solar watering wells are replacing windmills in remote areas mainly because solar stations require little maintenance and less expense—and when windmills break down in these areas it means no water for livestock where water sources can be few and summers can be scorching. Also, in many areas the sun shines more than the wind blows, making solar a more practical solution. So when the windmills break down, the ranchers, instead of fixing them, are often replacing them with solar stations. The well and the water pump controls. Another watering station several miles from the first. 4. http://www.ranchtanks.com: This site has solar livestock tanks that keep the water from freezing. So will solar replace windmills? “Not entirely,” states Peg Muller, owner of Muller Industries Inc of South Dakota. She says her windmill business has been going strong since 1979! Solar Watering Stations: Using the Sun’s Energy! Categories: Building Green, Climate Change, Renewable Resources, Solar | Tags: Climate change, Renewable energy, Solar power, solar watering stations, Sustainable energy | Permalink.